The dermatology professionals at the Center for Dermatology, Laser and Cosmetic Surgery are happy to welcome you to our practice! We are proud to provide the highest quality of skin care and cosmetic procedures to residents of Havertown, PA.
Dr.Harold Farber MD is a compassionate and highly skilled dermatologist, renowned in his profession and often sought out for his expertise in treatment of the most difficult cases. He has vast experience as a clinician who listens to his patients. Dr. Harold Farber lectures across the country and is a highly sought after speaker who is the ultimate authority on an array of topics. 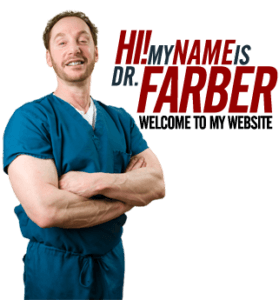 Dr. Farber has served Havertown patients for more than two decades. He is renowned for his expertise in treating a variety of medical conditions and participates in free annual cancer screening. Dr. Farber is the physician referred recipient of the most difficult and hard to treat cases, a care giver of the disadvantaged and disenfranchised. In addition to general skin exams, treatment for common skin problems, and Melanoma screenings, Farber Dermatology offers a wide range of cosmetic procedures including peels, microdermabrasion, laser hair, dark spot, facial or leg vein or wrinkle treatments, various state of the art treatments such as Botox, Dysport, Bellafill, Restalyn Silk, Juvederm, Sculptra, acne treatment, a dedicated psoriasis treatment center including the newest excimer and biologic therapies, eczema and more. “Amazing dermatologist and Cosmetic surgeon! Have my whole family going to him. Both Philadelphia and Narberth offices are great and convenient, extremely helpful and understanding staff and physician. He sees things from a mile away and can detect any skin issue right away and save you much hassle at a later point! Has a great new skin care line, which he also sells online….awesome website too…” – Illana R.
We understand how busy life can be, and are dedicated to making our practice convenient and accessible for you. Our offices are available with additional hours for your convenience. Please contact us at our office if you would like to know more about us, have questions, or would like to schedule your first visit with us. You may also schedule your appointment with us online through our homepage. We look forward to working with you, and thank you for choosing the Center for Dermatology, Laser and Cosmetic Surgery as your family’s destination for quality dermatology care!